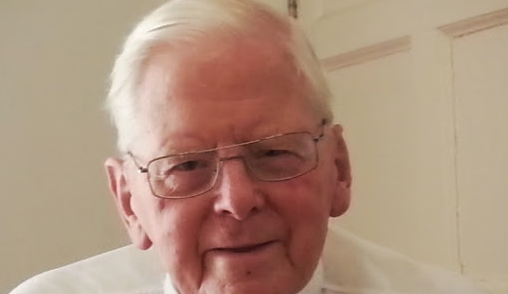 The funeral will take place today in Dublin of a Irish priest who was a former superior general of the Vincentian Order who died on Christmas Eve. Fr Richard McCullen CM was 89 years old. He became the 22nd successor of St Vincent De Paul in 1980 and served as Superior General from 1980 to 1992. Born in 1926 in Drogheda, Fr McCullen entered the Vincentian Congregation in 1945 after studying at St Patrick’s College, Armagh. Prior to that he had studied at the National Seminary in Maynooth. In 1948, he earned a Bachelor’s Degree in English at the National University of Ireland, an then spent four years in theological studies before his ordination to the priesthood in 1952. Fr McCullen continued his studies in Rome, where he obtained a Doctorate of Canon Law in 1956. Returning to Ireland, he spent the next 11 years at St Kevin’s, a house of studies for theological students at Glenhart, serving as professor of canon law, director of students and superior. From 1967 to 1975, he was spiritual director at Maynooth where 90% of the diocesan priests in Ireland are prepared for the priesthood. He then served as Provincial of the Irish Vincentians. During his five years in that position, he was active in fostering missionary activities in Nigeria, a flourishing mission of the Irish province. In 1980, Fr McCullen was elected Superior General of the Congregation. He oversaw the continuation of the mission of the Congregation’s founder, St Vincent De Paul, and adapted the mission to the changing times and to different cultures. During his term of office, the Constitutions of the Congregation were approved, also the Constitutions of the Daughters of Charity were promulgated. Fr McCullen promoted spirituality within the Vincentian Family and exhorted the confreres to expand their vision and to view the Congregation as one. From 1993-1995, he served as spiritual director at St Patrick’s College in Dublin. Since 1996 he has resided at Saint Paul’s College in Dublin and it was there that he died on 24 December 2015. His funeral takes place at St Peter’s Church’s Phibsboro in Dublin today at 12 noon and burial will take place afterwards in Castleknock College. “In a moment of intimate self-disclosure Saint Vincent remarked one day: ‘There are two things in me: gratitude and an inability not to praise the good. ‘ (Abelly, III, p. 208, 1st edition). At the end of my mandate as Superior General, I find much gratitude in my heart for all the good I have seen in Saint Vincent’s two Communities, and even more gratitude for all that I have received from the members of our Vincentian Communities. It has not been difficult for me to praise the good that I have seen and that I have experienced. My difficulty has been in not being able to see its full extent and to find adequate expressions of gratitude, and l continue to labour under that difficulty. In those who worked closest with me I have seen great depths of goodness. To the Assistants, then, and particularly to the Vicar General, Fr Miguel Pérez Flores, whose competency and loyalty during a span of twelve years has carried me at times over difficult terrain, I owe an incalculable debt of appreciation. Let me also express my gratitude to the Sisters and Confreres who worked with me in the General Curia and of whose goodness I have been a daily witness and beneficiary. It was G.K. Chesterton who said that ‘we choose our friends, but God gives us our neighbours. ‘ In the neighbours God gave me in the Curia, I found excellent friends. How better can I end than with the words with which St Vincent concludes our Common Rules: “We must get it firmly into our heads that, when we have carried out all we have been asked to do, we should, following Christ’s advice, say to ourselves that we are useless servants, that we have done what we were supposed to do, and that in fact we could not have done anything without Him.” (CR Xll, 14).